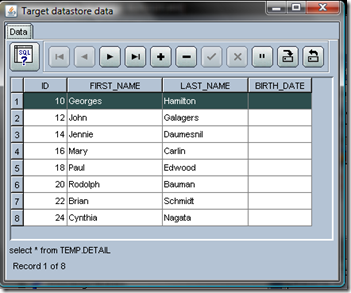 Create a database Sequence in Oracle. 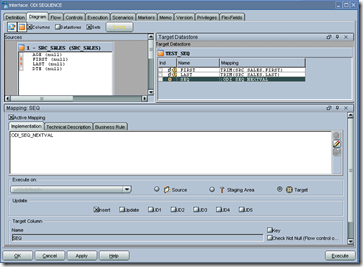 run your interface and check for data. can you help on this i have a requirment i have to maintain unique number for every 5000 records as a batch. if you’re at Oracle, just map the sequence in ODI and recreate it whenever you need…. Hi what is the maximum value an ODI sequence will reach upto? After reaching at the max value does it loops back and starts from 1 as DB sequence? 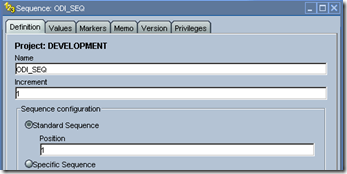 format is #.nextval in odi 12c. isnt it? How to retrieve current value. I want to know how to make a logic of sequence number, it is running on CDC basis, every time generate a unique number. Whenever i execute the scenario it should not be start from 1 or 0, it incremented by 1 start when the last execution stop. Please light up on this issue or your valuable answer. I really need an urgent help of whose answer I am not getting anywhere. So i thought the best source will be you. 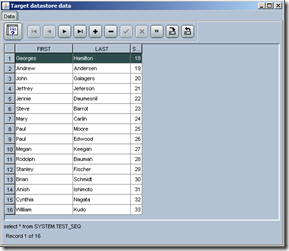 I am having column Account_Number which is having Duplicate values in Source. And I am having a primary Key Constraints on ACCOUNT_NUMBER in Target. So while Executing interface it gives Unique Constraint voilated. Now my requirement,In Target column Account_Number we have to append Sequence..
And i have to mapped as below for Target Column. 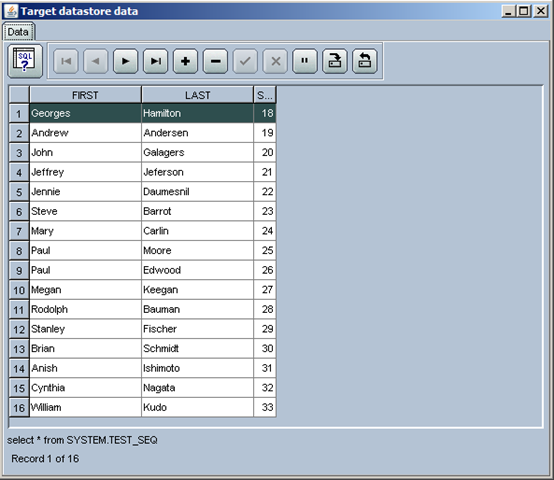 I am having a ID column (primary key) in a table which I need to load with seq. generator so that the value for each record increases by 1. 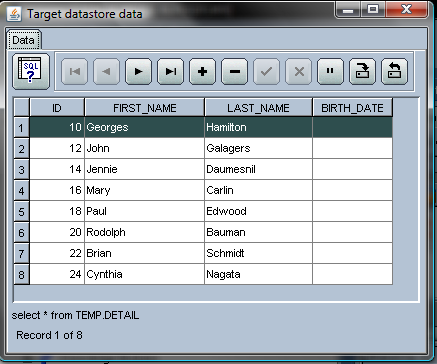 So every time the ETL is run value in the table should increase from 1 and again in the next load should start from 1. I created a seq generator and used it but the issue is for each run of the ETL, the value is same. For eg: For the first run the value is 1 for all records and 2 for all records of the second run. Where as I want it to be like below. What I can suggest is to create a procedure in ODI that drops the sequence and recreate it. Use the procedure as first step of your load package (or load process). I wnt to use ODI sequence in my project. whether the sequence number created will be continuous with every execution or it will start from the first for every execution. If it continues the sequence number for every execution of the interface, is there a way to restart the sequence for every interface execution. There is a tool OdiReinitializeSeq.Use this to initialize sequence for each run. You can find this under the package tools. 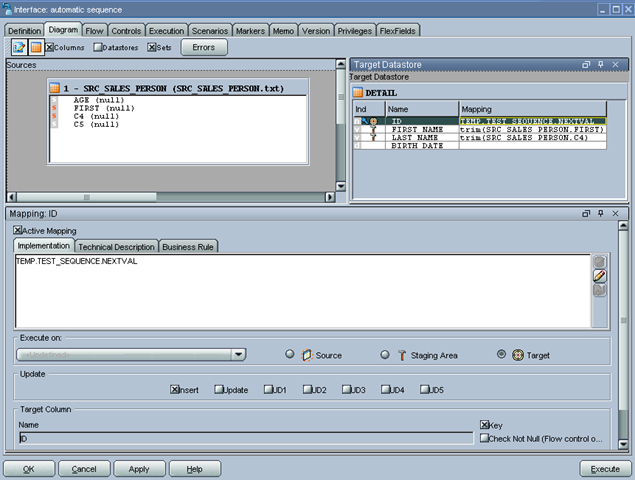 i hav to use this interface and a variable (var) in a package where var contains default value.how to do that? what to write in function code and at target mapping? I will send you an email about this. I have a question. 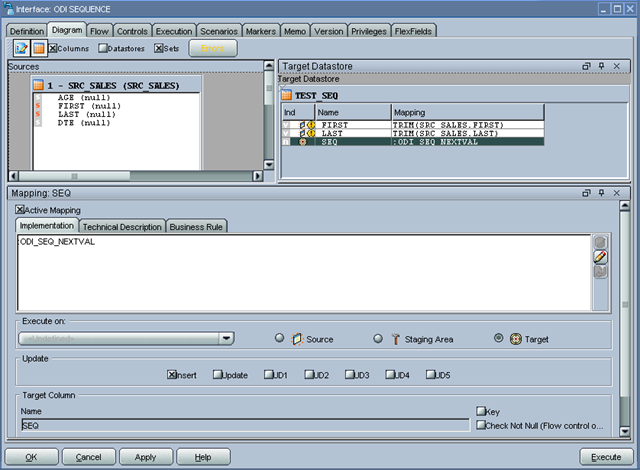 In source table i have 50 rows and i am processing all 50 rows at once to target. Now if first row has insert and 10th row has update to same id. When i run ODI it fails some time as it tries to process update first insert latter. Reason was it doesn’t follow any sequence when we select commit after 50 rows or so.